Bryan and I met the first week of graduate school at the University of Wisconsin in Madison. We started talking and studying together and at the end of the semester we met after our final exam. To celebrate being done with our first semester and our least favorite class (statistics), we made a bonfire using our statistics notes. 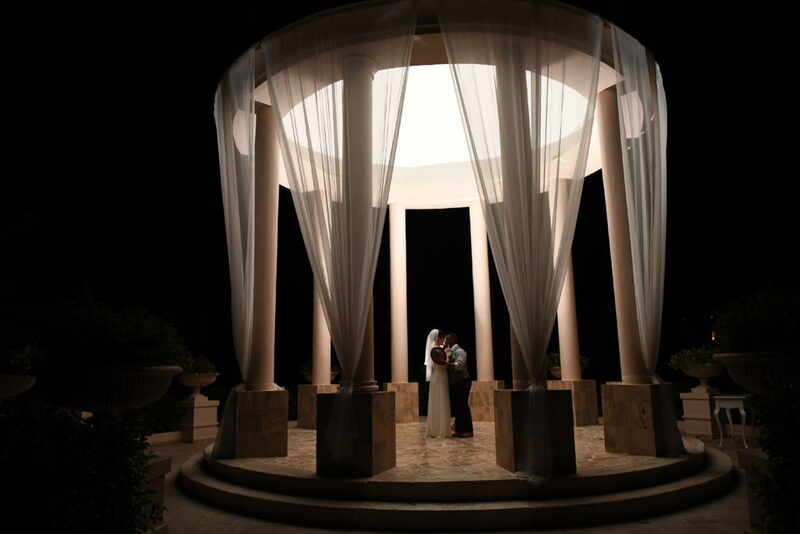 That night was the beginning of our journey and we were kindred spirits ever since. We both come from very large families, but being grad students, we could not afford to have everyone come to the wedding. 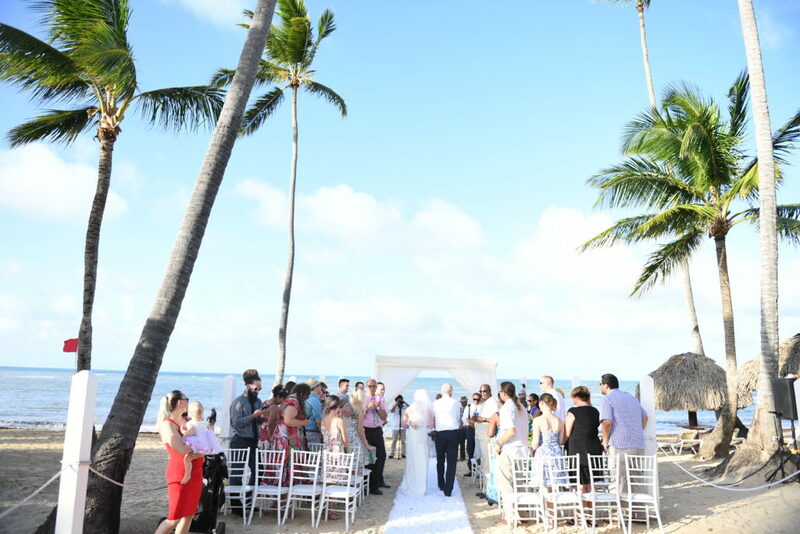 We went to a close friend’s destination wedding two years before Bryan proposed and loved the idea that it was small and everyone gets to hang out before and after the wedding. The worst part about weddings is how short they are and how little time you get to hang out with the bride and groom. We wanted to extend it as much as possible to capitalize our time with everyone and have an amazing time! 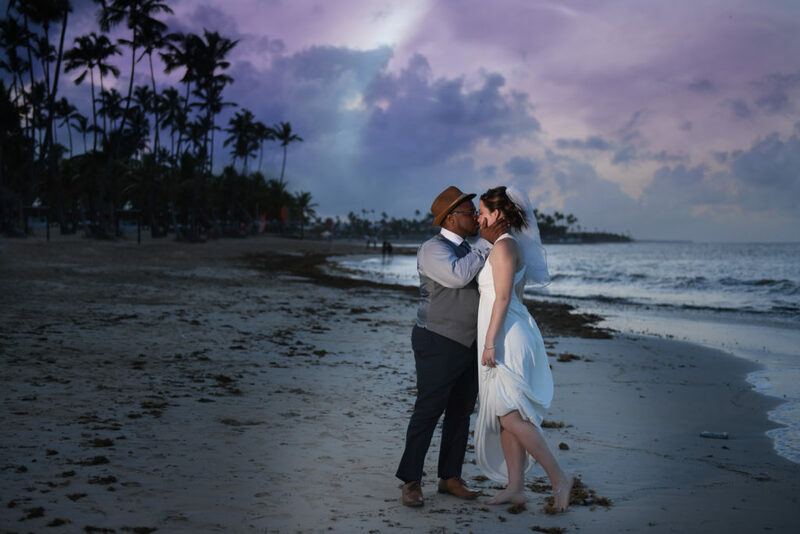 We had never been to the Dominican Republic before and flights were decent compared to other wedding destinations. 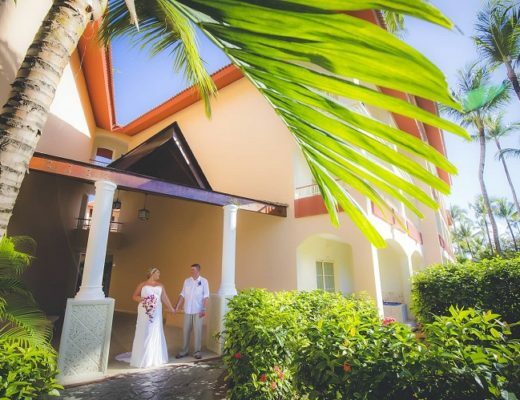 Our Certified Destination Wedding Specialist helped us find the perfect resort which had our top wishes: swim-up bar, good food, 24-hour room service, beautiful beach ceremony location, affordable for the guests, and all the drinks we could possibly drink. There was also the added bonus of the flamingos and peacocks that roamed this location! Sweet! 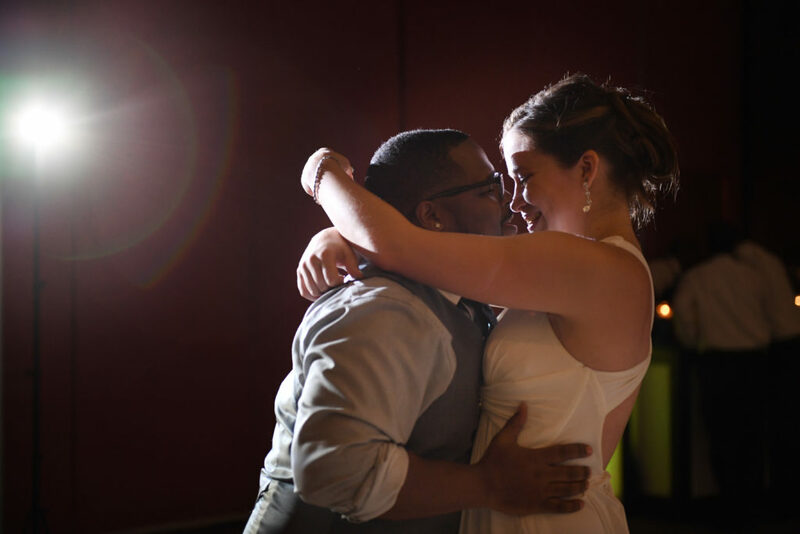 For the wedding ceremony, we picked songs that we both liked and chose a string version of it. We had a few Paramore, Kanye and Coldplay songs, but the best part was hearing Rise Against’s “Swing Life Away” as the wedding party walked down the aisle. 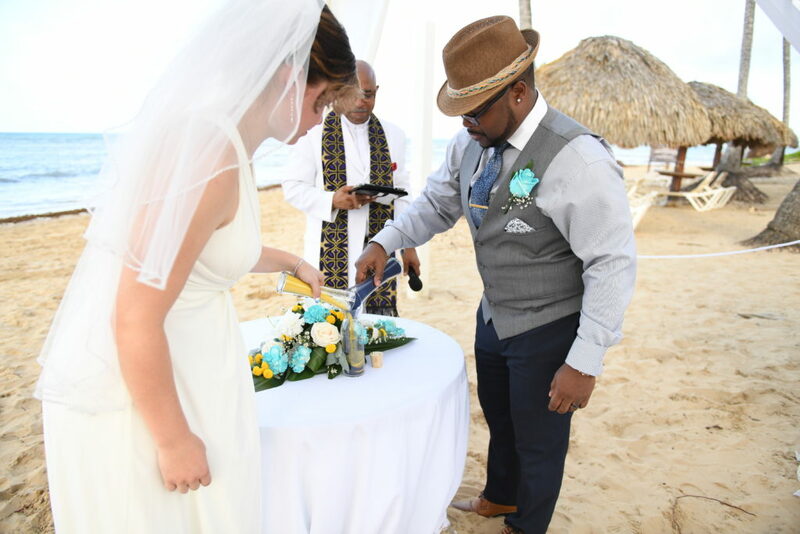 We also chose to do a Sand Ceremony using Michigan colors (Go Blue! 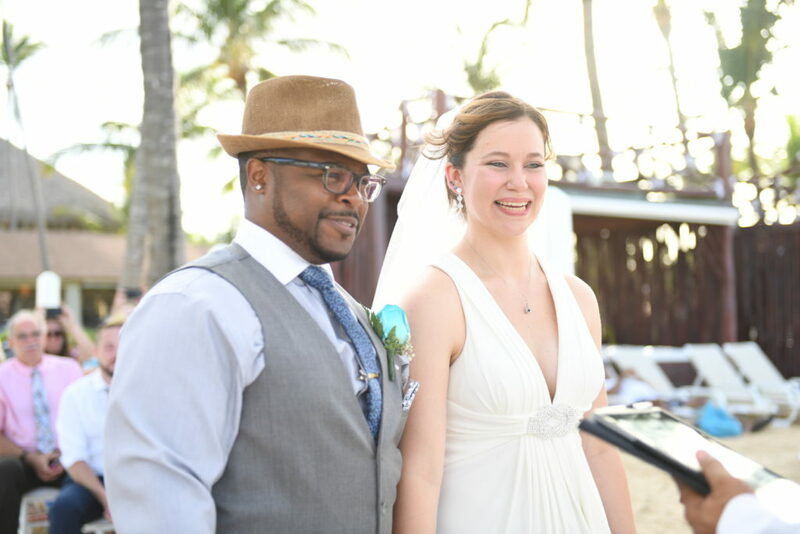 ), the African American tradition of “jumping the broom,” and wrote/memorized our own vows. 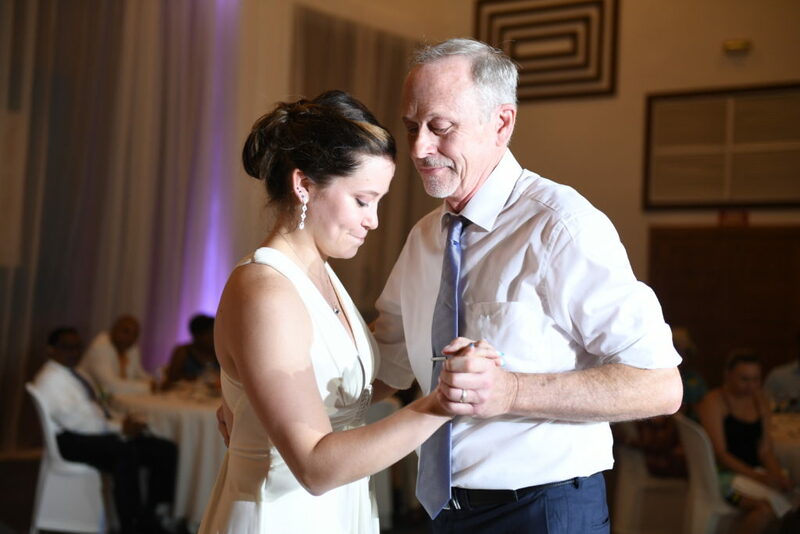 My dad and I also danced to a mashup of different popular songs for the Daughter/Father dance and no one was expecting us to do that (my dad is very shy, but organized the whole thing, it was HIS idea!). 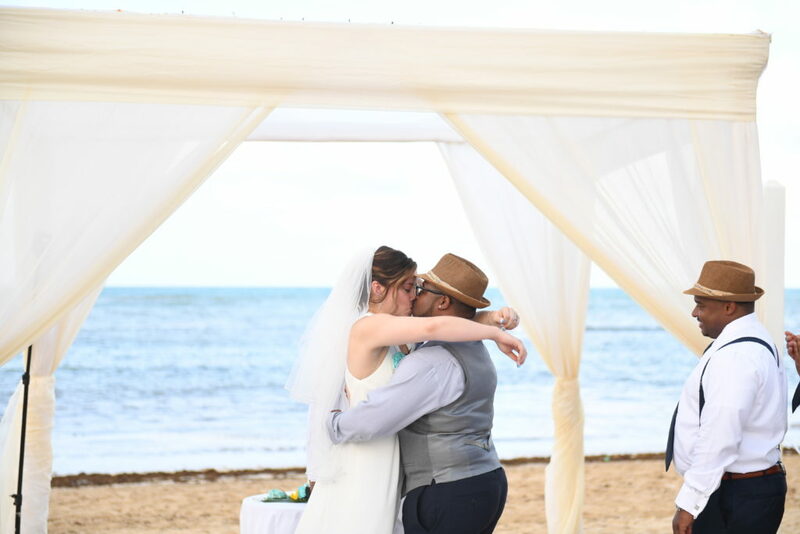 Our wedding was almost cancelled 2 days before the ceremony. 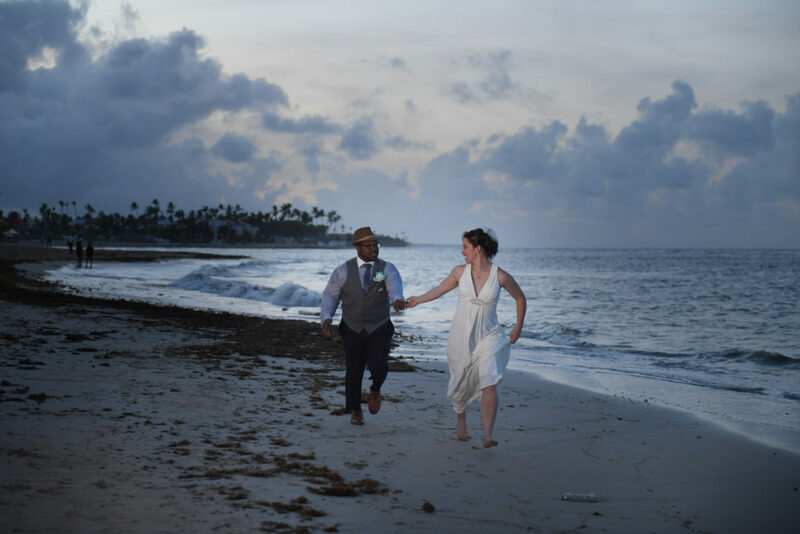 Most of our wedding guests had their flights cancelled due to Hurricane Irma, we had 20 cancellations/no shows (some we didn’t find out until Saturday). The guests that did make it down were sent to a shelter away from the coast for safety. We had no communication from the resort before our planes took off on Friday, and there was a rumor the resort sustained heavy water damage. Fortunately guests arrived back on Thursday evening and said the resort was intact and we should get on the planes the next morning! 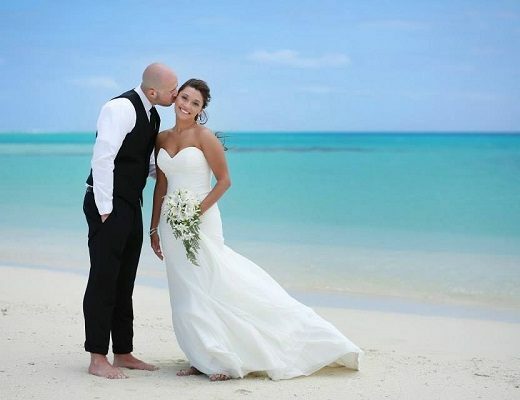 Half the guests arrived 20 hours before the wedding and the rest arrived a few hours before it started so there was no time for rehearsal, planning, or even greeting the guests. We just went with the flow and it turned out spectacular! It is hard to pick a single moment, the whole day was amazing. 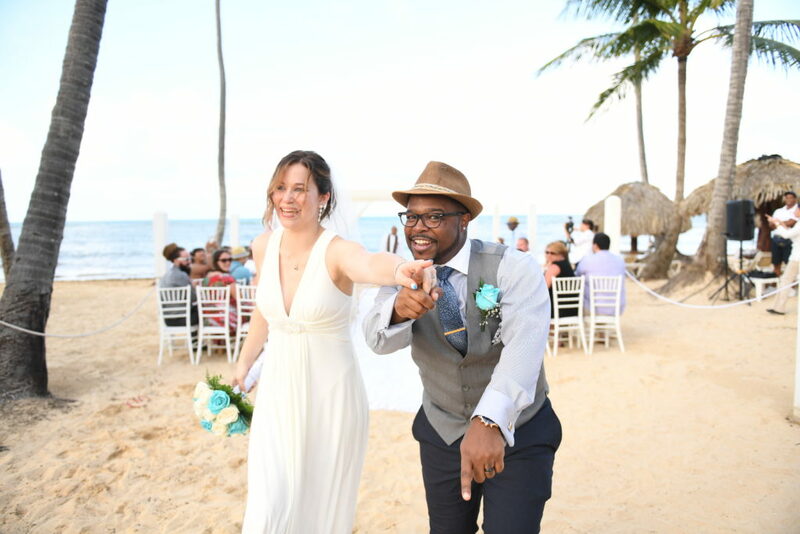 For myself it was finally being able to hold Bryan’s hand after walking down the aisle and hearing his vows, which he completely went off script and did phenomenal. 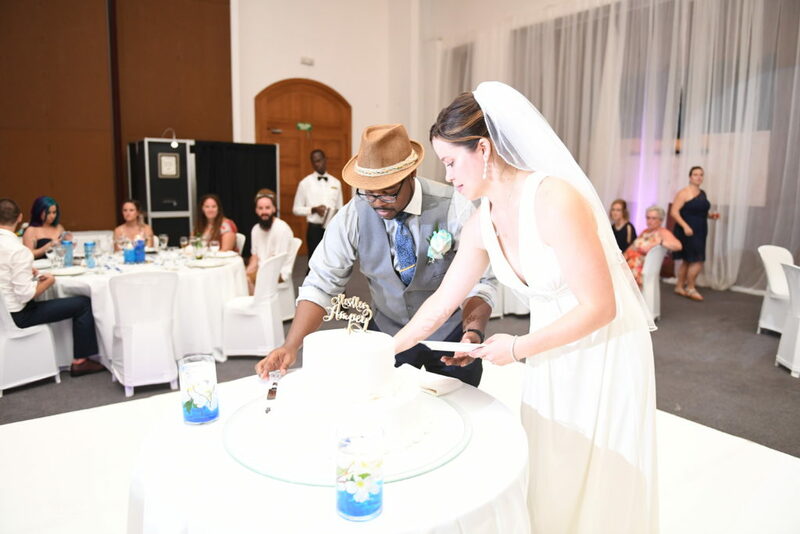 I also will forever remember throwing cake at each other during the cake cutting. 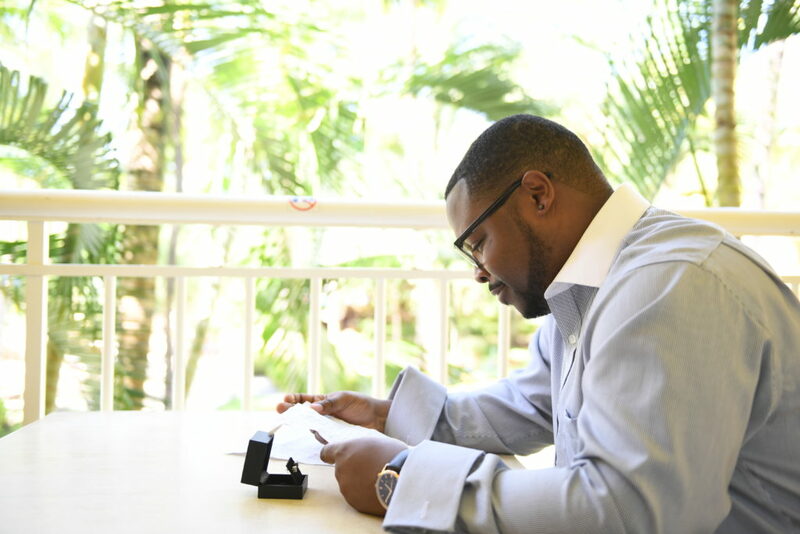 For my husband, his most memorable moment was my walk down the aisle and seeing me for the first time, as well as the vows. And of course, dancing non-stop with our friends! 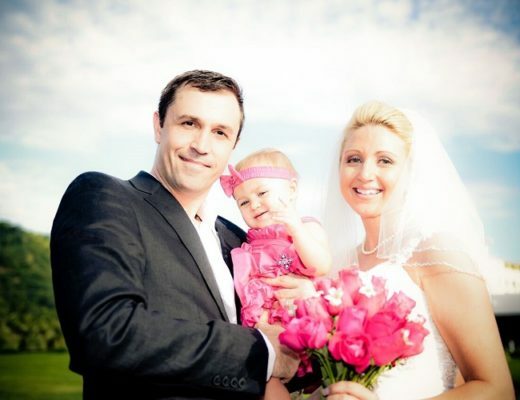 The father/daughter dance was one of the most memorable for everyone, because it was so unique and took so much planning to learn the dance routines. We went on a boat through La Barcaza the day after the wedding (it had to be rescheduled for that day due to Hurricane Irma). 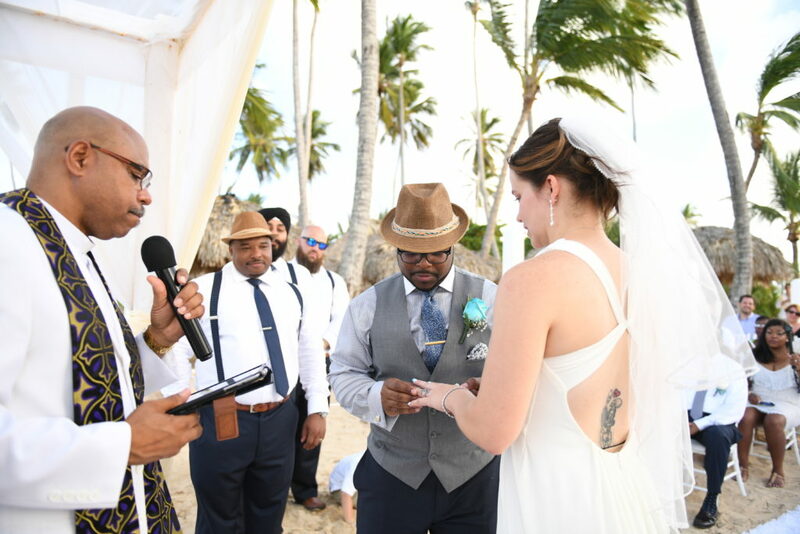 Although we were not able to do a lot of what we should have on that boat due to rough hurricane waves (snorkeling, secluded beach), it turned into a second wedding reception. I’m not sure which day had more dancing! So much fun (and lots of Mama Juana shots). We also went zip-lining and got to try a lot of the fruit that grows on the island on our way to the zip-lines! The islands of Bora Bora! 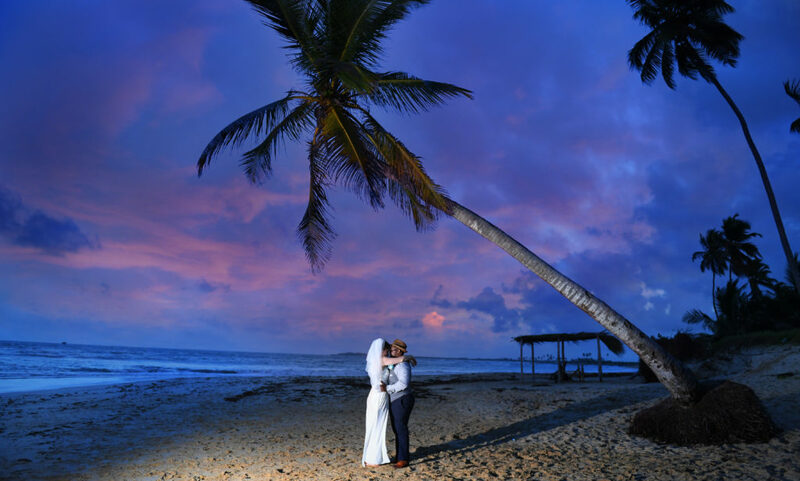 For more destination wedding inspiration, be sure to check out our website & Pinterest!